Q: As a Humana sales agent, do I work for Medicare or the government? A: No, Humana agents are either employed or contracted by Humana to market Medicare Advantage and/or Prescription Drug plans. Q: When can I discuss other Humana plans/products with you? A: If you wish to learn more about other health-related plans/products, like vision or dental insurance, I can assist you. If you’d like to learn more about other non-health-related products we would need to make a separate appointment to have that discussion. Q: Do you understand there is a difference between Medicare Advantage and Medicare Supplement? A: It’s important to know that the product presented is a Medicare Advantage plan, which is not a Medicare Supplement. Q: Are all Drug Lists the same? A: No, Drug Lists may differ according to plan type. Q: How can you find out if your prescriptions are covered and your costs would be under any of Humana’s prescription drug plans? Q: What is the coverage gap, also known as the donut hole? A: Most Medicare Part D prescription drug plans have a phase called the Coverage Gap, or donut hole. This refers to a period after you and your drug plan have spent a certain amount of money to covered drugs, during which you will have to pay a much higher percentage of the costs out-of-pocket for the prescriptions up to a yearly limit. However, there are some discounts provided by certain drug companies, CMS, and healthcare plans on covered drugs in the coverage gap. Your yearly deductible, your coinsurance or copayments, the amount of any discounts provided for brand name drugs, and what you pay in the coverage gap all count toward this out-of-pocket limit. A: In some cases, Humana requires you to first try certain drugs to treat your medical condition before we’ll cover another drug for that condition. For example, if Drug A and Drug B both treat your medical condition, Humana may not cover Drug B unless you try Drug A first. If Drug A does not work for you, Humana will then cover Drug B.
Q: How do you request an exception to the Drug List? A: You can ask Humana to make an exception to the coverage rules. When requesting an exception, you should submit a statement from your doctor supporting your request. Q: Is there a transition process if you are taking drugs that aren’t on our Drug List? A: Yes, in certain cases for each of your current Part D drugs that aren’t on our Drug List, or if you have limited ability to get your drugs, Humana will temporarily cover up to a 30-day supply of your medicine when you go to a pharmacy. Q: How do you know what pharmacies are in network? A: You can use a Humana pharmacy directory or look up the pharmacies at Humana.com . Q: What happens if you go to an out-of-network pharmacy? A: Humana may not pay for your prescriptions if you use on out-of-network pharmacy. You should use a network pharmacy to make sure you receive plan benefits. 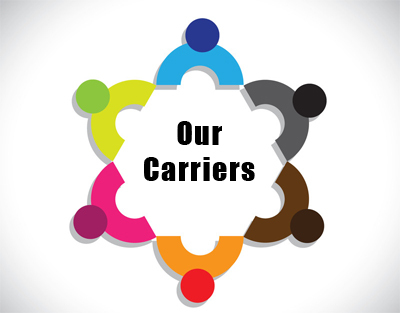 Q: How do you know what providers participate in the plan’s network? A: You can use a Humana provider directory or look up your provider using Physician Finder at Humana.com. A: If you ore a PPO member, you can go to out-of-network providers at an additional cost. If you are an HMO member, you would be responsible for the full cost of care if you go out of network because you must use providers in the HMO network. Q: Can provider networks change? A: Yes, there are times when networks change. Current providers may leave or new providers may join the newtwork. Q: Can you see any provider under a PFFS plan? A: A Private Fee-for-Service plan is not a Medicare supplement plan. Providers who do not contract with our plan are not required to see you except in an emergency.” You will want to check with your doctors each time you see them to make sure they are willing accept Humana plan’s terms and conditions. Q: Are there special eligibility requirements to join a special needs plan? A: Yes, you must meet the eligibility requirements for the particular SNP you are interested in. For example, with a Chronic Care SNP, you must have been medically diagnosed with the chronic condition to enroll. To be eligible for a dual eligible SNP,you must have both Medicare and Medicaid. Q: What happens if you are no longer eligible for the SNP; for example, you are no longer dual eligible or no longer have the chronic condition? A: If you have a change in your eligibility for the SNP, this can lead to being disenrolled from the SNP.